Water Softener Anion Resin is a special strong base anion resin developed for nitrate removal, especially from drinking water. 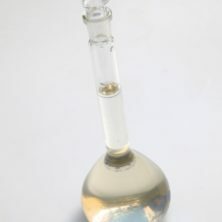 This type of strong base anion resin retains nitrates more strongly than any other ions including sulphates, due to it contains larger size of the amine groups, which makes it more difficult for divalent ions to attach themselves to the resin. In addition, this type of anion exchange resin has a high capacity and physically stability and has been adapted to resist high pressures. Regeneration of the resin is also a feature of ion exchange. The resin is flushed free of the newly-exchanged ions and contacted with a solution of the ions to replace them. Regeneration is initiated after most of the active sites have been used and the ion exchange is no longer effective. With regeneration, the same resin beads can be used over and over again, and the ions that we are looking to get out of the system can be concentrated in the backwash effluent, which is just a term for the spent fluid used to regenerate the ion exchanger.